Welcome to the next version of the online fashion Barbie In Japan Dress Up Game full of fun. Coming with Barbie In Japan Dress Up 2, you will continue exploring highlights in the culture of the country people's fashion. With traditional dresses knit shower patterns very characteristic, you join Barbie In Japan Dress Up 2 game to discover interesting things await you ahead. On the smartphone touch in your screen to play. Choose for her the fashion style in Japan. 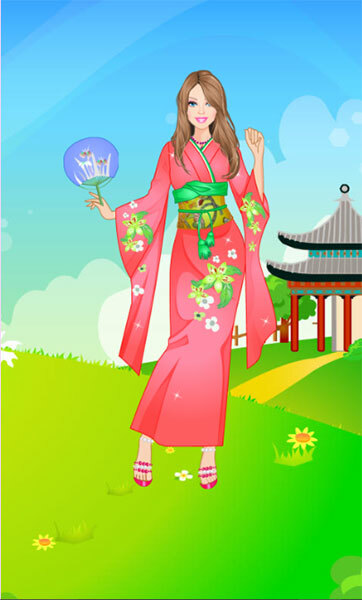 Game Barbie In Japan Dress Up played 12.641 times.